OH NO – WAS I BEING TOO FRIENDLY? I believe that many of us still associate learning with a certain level of formality – the voice of a serious-looking, strict teacher, a silent classroom and the sound of people typing or writing things down. And, without even knowing it, we sometimes create the same atmosphere in eLearning. However, it’s becoming more and more clear that we can and should find ways to appeal to our learners and make them engaged in the learning process. So, let’s have a look at a few things that can help us create a more informal elearning environment. One of the simplest ways to make your training more relatable and easy to understand is to provide information in a language that people actually use. Of course, there are times when the content is highly technical and doesn’t leave room for more casual communication. However, if that’s not the case, there might be no need for formal words and expressions or long and complex sentences. The learners shouldn’t be spending their time trying to figure out a rarely used word or expression, or re-reading a sentence because they’ve forgotten how it began. This can be very frustrating and doesn’t help learners in any way. 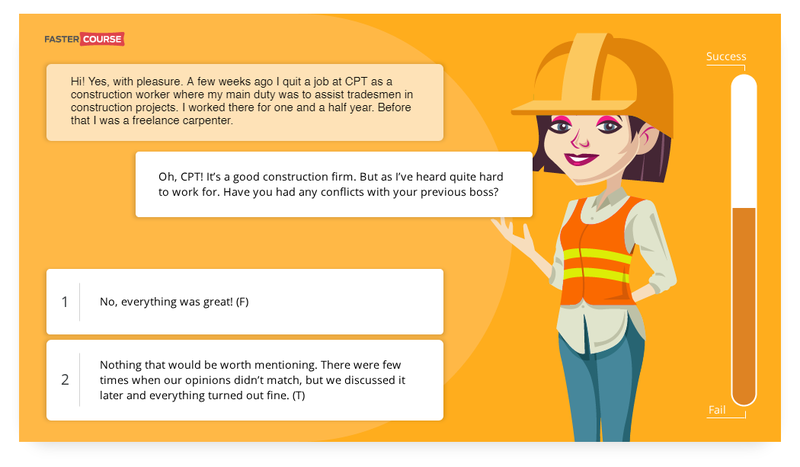 Here you can see an example from one of our branching scenarios, where we’ve recreated a job interview. We tried to make it as close to reality as possible by using short sentences, exclamations and contracted forms. Another aspect to consider is how you can make your learners feel like it’s made just for them. When I talk about personalization, I’m thinking about a variety of features. To begin with, you can simply have the learner enter his or her name and use it to address the learner throughout the training. Similarly, you can also offer them to pick an avatar, a theme and so on. For more advanced personalization, you can adjust the way content is delivered. 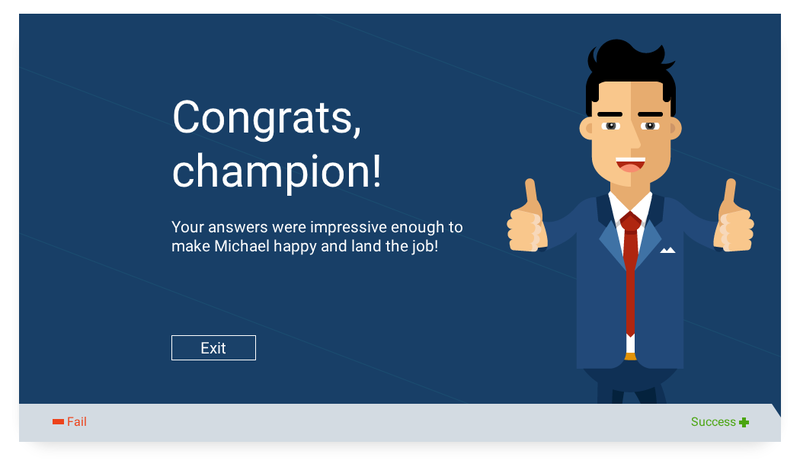 For example, you can offer a short survey or pre-test to determine which parts of the training are needed for each learner. This way, more advanced learners will be able to skip ahead and won’t have to click through content they already know. 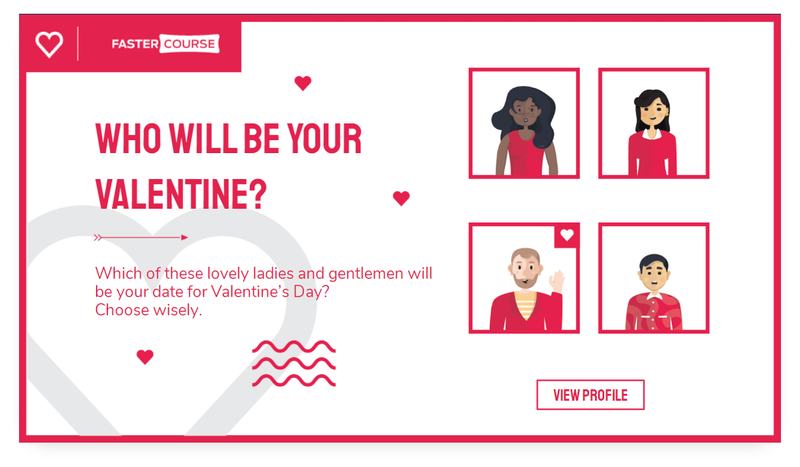 In this fun little freebie we created for Valentine’s Day, we allow the user to select one of four characters to take on a date. The content that follows is different for each character. Finally, you can create a sense of companionship by introducing a character who can be a mentor or a fellow learner. For additional motivation, the character can even be somebody who needs the learner’s help. I find that a well-thought-out character can really do a lot for learner engagement, making the learning process less dull and impersonal. 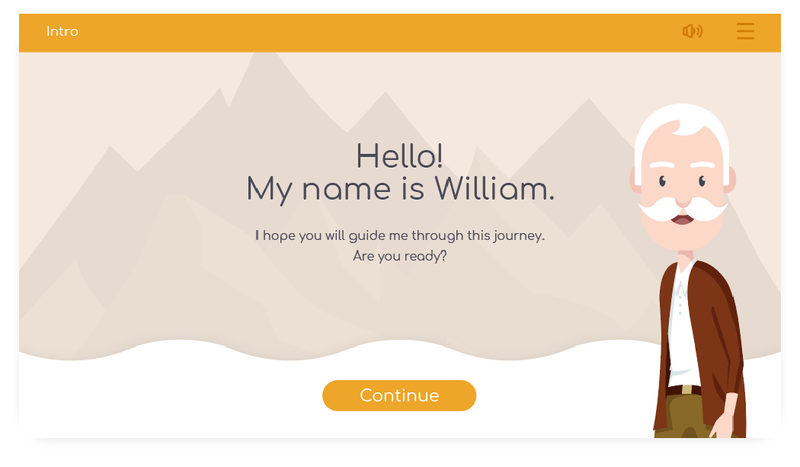 In Mission Bird, we enhanced the experience with a character who needs the learner’s help. He provides emotional responses to the learner’s choices and motivates them to do better. I know that some people are afraid that as soon as they will make use of a character or even slightly less formal language (e.g. contracted forms), the training won’t be taken seriously. However, I believe that none of the features that I’ve been discussing will make the training silly. If used thoughtfully, they will help the learners relate to the content and understand it better – which is our main goal! Very useful information, thanks for mapping out everyday examples.